Recently performed for the first time, the Newent Symphony, by Bill Anderton, is available on CD. This is a live recording of an historic performance which took place on 25th March, 2017. The CD costs £6.50 (£5.00 + £1.50 P&P) and the order form is below. "It took over seven months to complete this composition and is the most ambitious piece that I've come up with so far. 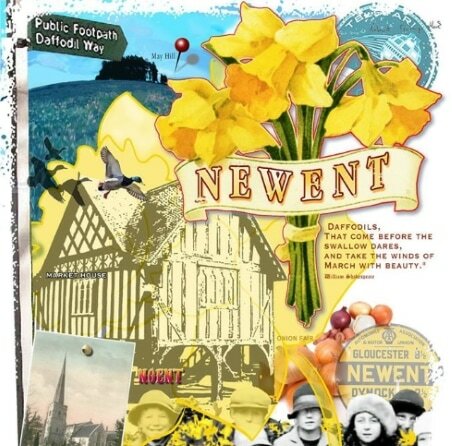 The idea was to take some pictorial themes in and around Newent and to represent them in music. There are five: the lake; its spring daffodils; the market square and main streets; the Onion Fayre; and May Hill with its top-knot of trees. The brief to myself was to make the music enjoyable to play and listen to and was written particularly with the Newent Orchestra in mind. Happily, having (hopefully) met these criteria this has not meant any dumbing-down. Compared with a Shostakovitch or a Prokofiev opus, my stuff is easy going, but easy does not mean the music is lacking in depth or interest and listeners will detect a fusion of influences from Baroque to folk, including calypso! 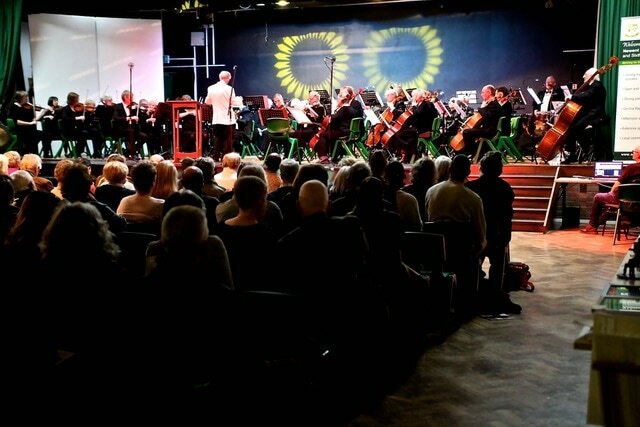 It's my hope that the symphony will have appeal well beyond the boundaries of Newent." Subscribe to the Orchestra's Newsletter.